Even though Google Chromebook has only been available in the consumer marketplace since late 2012, it is already making an impression in the educational arena. Not only are they priced affordably for teachers, as well as students, these laptops are user-friendly. In addition to being popular within the United States, Google Chromebooks are also making a big impact overseas. Why choose Google Chromebook for Classroom Use? 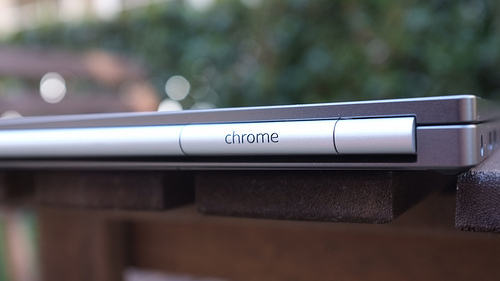 Ease of use: A Google Chromebook comes ready to go with everything users need for plug and play usability. Not only do users not have to worry about the installation of operating systems or anti-virus software, there is no need for the constant updating other laptops and desktop computers require. Student Experience: Most of the features that come preinstalled on the laptop are applications most students already use. These applications include searching, Gmail and YouTube. Since most students already have experience, there is no need for them to train them how to use these applications. That saves teachers a lot of time in the classroom, and helps relieve student stress levels from having to get to know a new machine. Lightweight design: Another great feature of the Google Chromebook is the fact that it is lightweight and easy to keep mobile. Because many teachers and students share these devices throughout the day, portability is paramount. The lightweight design of this laptop allows teachers and students to move from classroom to classroom and from user to user with ease. In many cases, students are allowed to take laptops home to use for homework. These light devices will not weigh down their backpacks or messenger bags. Multi-user Interface: When users switch throughout the day, lap features allow this to happen without anything becoming disorganized or lost. This is a big concern for students who are working on complex projects and are worried about files being accidentally deleted when another user signs on. The Chrome's ability to set up numerous user accounts and switch between them easily is a feature many educators find they cannot live without. Each user must log out of their account when they are finished using the device in order to ensure no other user can access their information or mess up their account in any way. It is no mystery that school budgets are being cut or tightening up across the board. Therefore, when an affordable option comes into the marketplace allowing educators to spread technology throughout their lesson plans, it is no wonder so many faculty members and students want these laptops in their classrooms. Because so many curriculums require basic keyboarding skills, the use of laptops in the classroom is no longer an option. Budget cuts plus technological demands require educators to reduce investment and maintenance costs. Preinstalled software, like that found on the Chromebook, certainly helps. (*)Jenn Greenleaf is a freelance writer who covers topics such as social media, online reputation, technology, and education. You can learn more about her career and interests by following her on Google+.